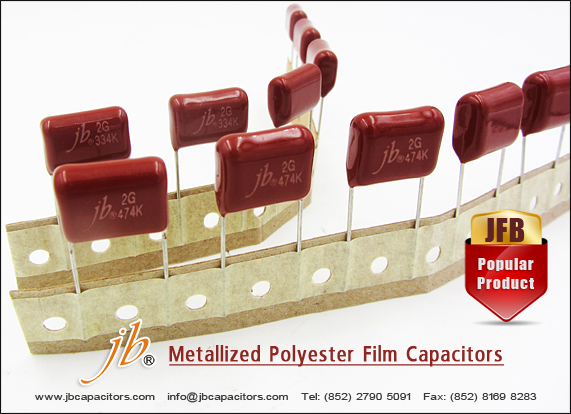 jb Capacitors produce Metallized Polyester Film Capacitor since 1980. Metallized Polyester Film Capacitor is one of the most common series of film capacitors, we sell high quality with very competitive prices in the market. 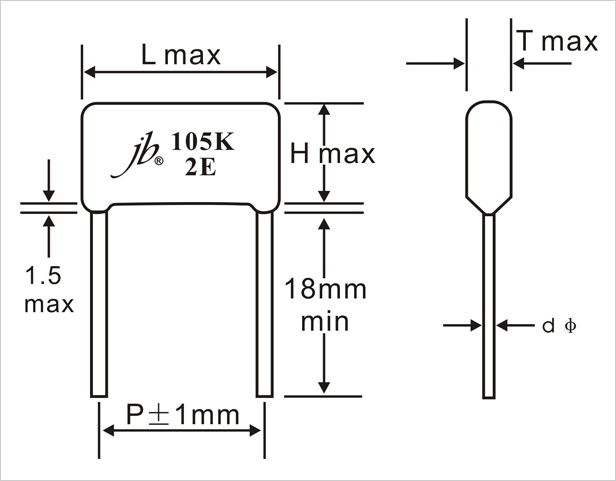 Following are Metallized Polyester Film Capacitor features, specifications and drawing. Non-inductive, extended foil, dip coated, high moisture resistance. DC 100V(2A), 250V(2E), 400V(2G), 630V(2J).